He also presented the 2015 Research Award jointly to Larry Guth and Nets Katz in recognition of 'their solution of the Erdős distance problem and for other joint and separate contributions to combinatorial incidence geometry. Their work is an important contribution to the understanding of the interplay between combinatorics and geometry.' Gil Kalai spoke about their work in a video recording. 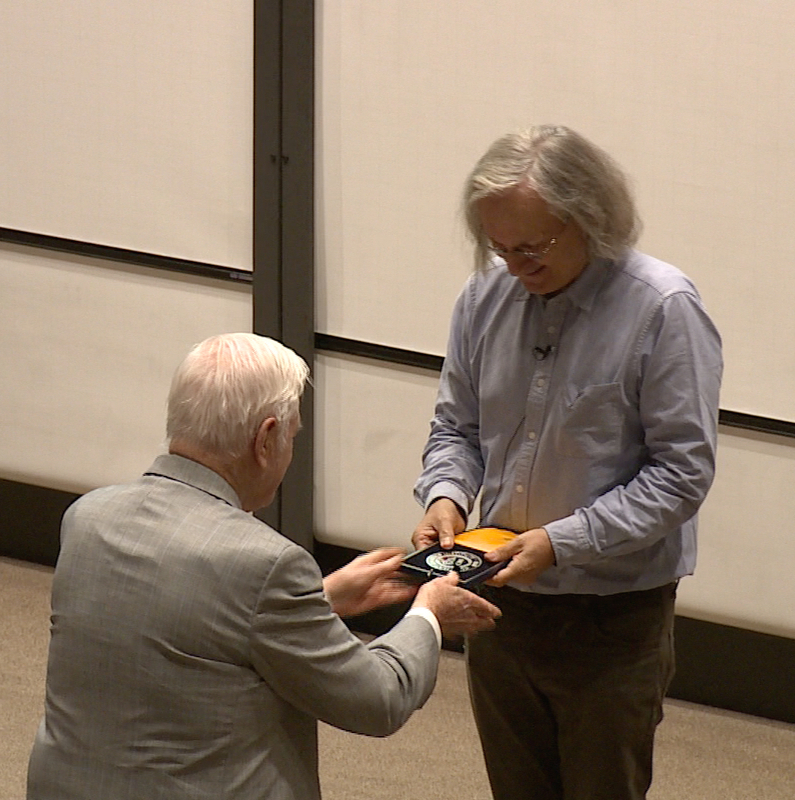 On 1 October, Landon Clay presented the first Clay Award for the Dissemination of Mathematical Knowledge to Étienne Ghys, following his lecture on Dancing Vortices.